IEM’s AirOps team has been on the ground and in the air supporting response and recovery operations in the Caribbean since Hurricane Irma. 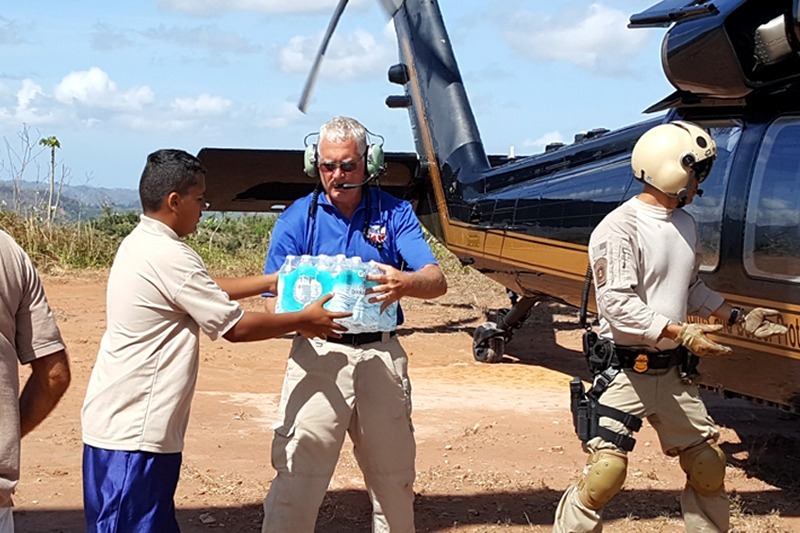 The team also helped with evacuations before Hurricane Maria made landfall. IEM has been selected as a prime contractor to support DHS through the Enterprise Acquisition Gateway for Leading Edge Solutions II (EAGLE II) contract. EAGLE II includes multiple awardees, providing DHS with streamlined access to innovative private-sector expertise for IT support. Read more. IEM-Developed Guidance Helps Airports Prepare for DisastersThe TRB has published ACRP Report 73, a guidebook prepared by IEM that helps airports develop/implement mutual aid programs in preparation for disaster response. Read paper. The IEM-developed TRB primer, ACRP 112, summarizes a software tool for conducting terminal evacuation planning and includes a checklist for generating incident response plans. Download the report. The TRB has published ACRP Report 95, a guidebook prepared by IEM providing guidance on organizing citizen volunteer programs to assist airports during an emergency. Read paper.